Click on the image above to get the full version (full-resolution). 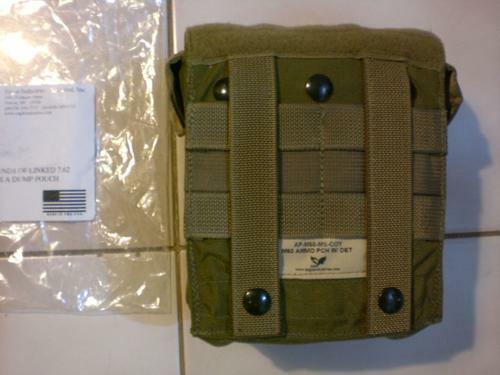 Hard to find 100rd M60 Pouch by Eagle Industries in coyote brown color. Can hold 5 M4 mags.